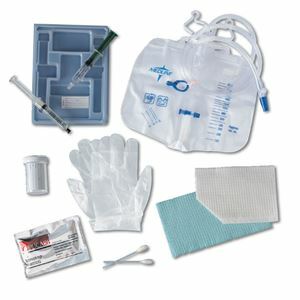 Foley Catherization Tray by Medline Canada is designed to contain the materials needed to prepare patient and catheter for insertion. The tray includes gloves, water-proof underpad, Specimen container, sterila syringe, lube jelly, Swabsticks,fenestratd drape, prep tray and a drain bag. All the supplies are latex-free.